MAC Cosmetics have just launched their new Gently Off + Micellar Water Wipes in the States and will be coming to the UK/Ireland market in November. These new Gently Off + Micellar Water Wipes are a non-irritating formula, suitable for sensitive skin, specifically designed to remove all traces of makeup, including waterproof products and are actually MAC’s very first micellar wipe remover and will permanently join the Gently Off line. 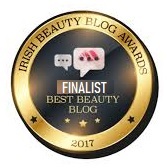 Will gently swipe away makeup, dirt and grime while carefully calming instead of stripping or stressing skin, leaving the face feeling clean, refreshed and conditioned, ready for the next step in your skincare routine. Created specifically for sensitive skin and eyes, these non-irritating towelettes have been pre-soaked in a micellar solution, which is made up of tiny cleansing oil molecules suspended in soft water. 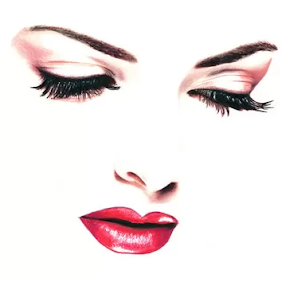 The oils attract dirt and grime, so they are able to draw out impurities without irritating the skin. In addition, MAC’s new wipes are fragrance-free and they leave no kind of residue whatsoever. 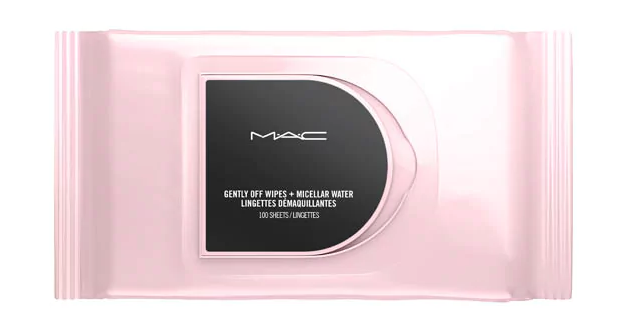 MAC Gently Off + Micellar Water Wipes come in a soft pink and black package containing 100 wipes.